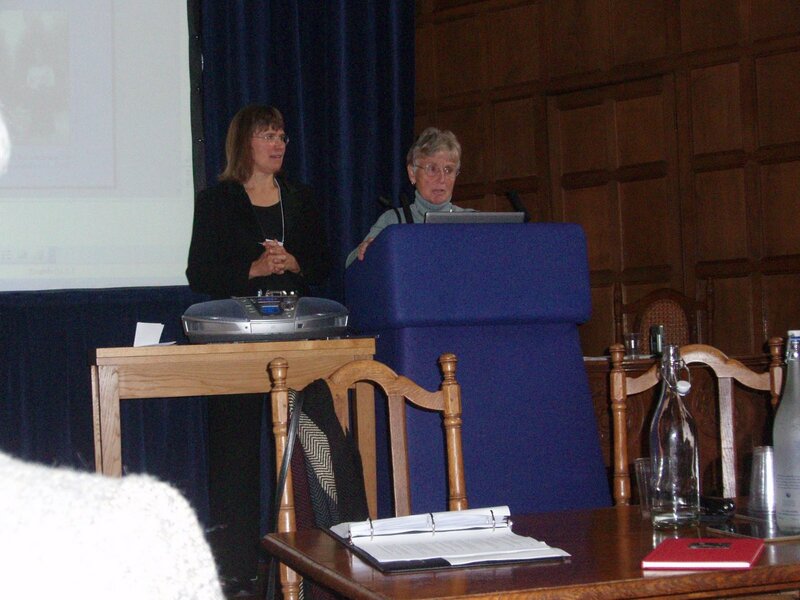 The Sylvia Plath 2012 Symposium website is now live. Information about the symposium includes a tentative schedule of events, local lodgings, and much, much more. I'll make any important announcements here on the blog if any are necessary, otherwise, the website is now the place to go for information! In 1961, Plath and Hughes' friend, poet Robert Lowell, was readying his next work, Imitations, which would be published that year and is a book catalogued in Plath's personal library. Lowell, like Plath, had to endure electric-shock treatment for depression at McLean Hospital. Robert Lowell was a direct descendant to the astronomer Percival Lowell, founder of the famous Lowell Observatory in Flagstaff, Arizona, which chalks up among its discoveries the now ex-planet Pluto, and measuring the brightness of Uranus and Neptune. When Plath wrote her poem "The Hanging Man" in early 1960, the Lowell Observatory was deep in the beginnings of the space race with the Soviets, busy with astronaut training, instrument testing, and moon mapping. Given Plath and Hughes’ frequent dinners together with the Lowell's, as well as Plath's attendance of Lowell's Boston workshop, it seems apparent that Plath had an early look at Lowell's manuscript. Plath's "The Hanging Man," unites the image of Lowell's ECT with the Lowell telescope in the desert, presenting it as a giant, unblinking eye in the shade-less socket. Lowell's poetry is famous for the idea of boredom that infuses it; Plath's "vulturous boredom" and the idea of waiting is a central meaning of the Hanged Man tarot card (depending upon the deck, it is called either "Hanged" or "Hanging") itself, as he suffers for enlightenment. The corresponding tarot card pictures a man in a blue tunic, hanging upside-down from a tree. His longish hair falls straight from its roots, echoing Plath's first line, and the tarot meaning of his enlightenment shows in the electric-charged halo around his head. In the introduction to Imitations, Robert Lowell explained that his translations should be thought of as "imitations," taking liberties with classical European writers' works, and trying to "do what authors might have done if they were writing their poems now and in America." Plath's last line of "The Hanging Man," "If he were I, he would do what I did," is thus clarified. 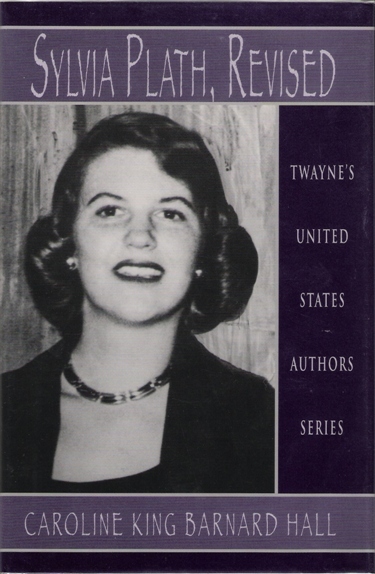 If you have an interesting approach or angle to something Sylvia Plath wrote - or really on anything Plath related - and want to go a Guest Blog post, please contact me (email on the "About Sylvia Plath Info..." tab toward the top of the page). Sylvia Plath went missing 59 years ago this week. Her disappearance was in more than 170 newspapers around the country and was reported on the radio and television, as well. The majority of the newspaper articles were understandably in Massachusetts. 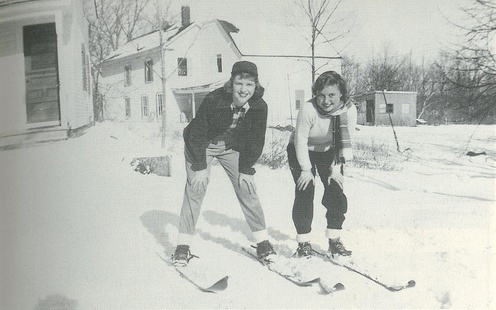 One of the photographs appeared in The Boston Globe, in an article titled "Day-Long Search Fails to Locate Smith Student" on 26 August 1953. 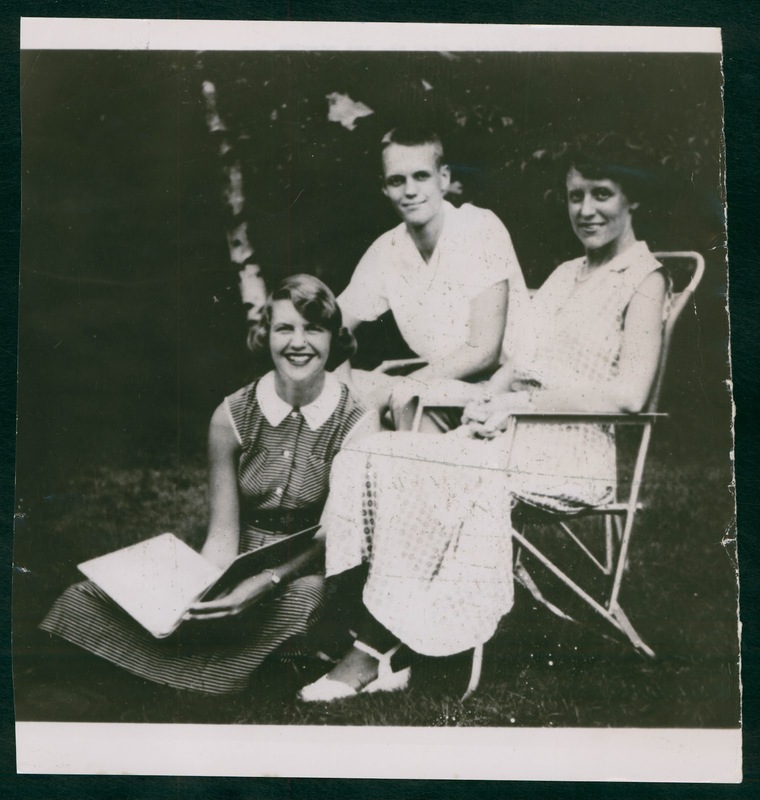 The photograph that ran was of Plath, her mother, and her brother. One of the more sensational newspaper of the time, The Boston Daily Record, ran a number of articles on the missing Plath in several daily editions. In fact, they ran eleven articles over four days. Two on the 25th; three on the 26th; four on the 27th; and two on the 28th. On the 27th, two of the editions used a photo of Plath, two did not. The photo of Plath was a close-cropped headshot from the same photo that ran on the 26th in The Boston Globe, mentioned just above. The caption to the image read: "Sylvia Plath / Stupified by drugs." The Boston Globe must have passed on the image of the Plath family they used to the Boston Daily Record. Recently, I found for sale on eBay an archival stock photo from Plath's disappearance in August 1953 from Historic Images with "Boston Record" written on the back. 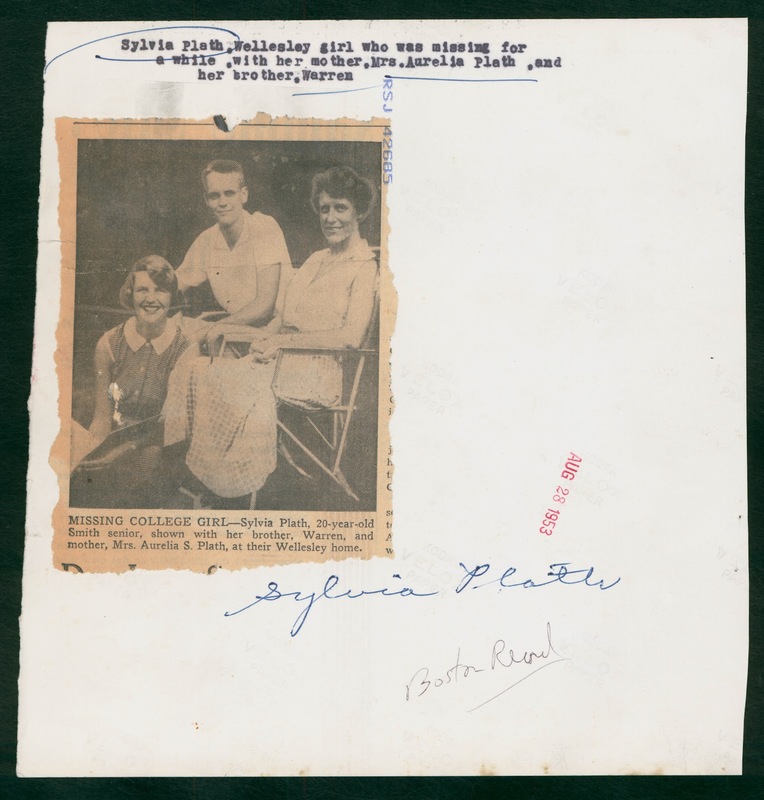 The image, left, is an enlarged version of the Plath family photo, and on the back, below, gloriously, is an original clipping of the photograph that accompanied the Boston Globe's "Day-Long Search Fails to Locate Smith Student" article. The photo as used on Hall's book on Plath. "Home All Along." The Attleboro Sun. August 27, 1953: 1. 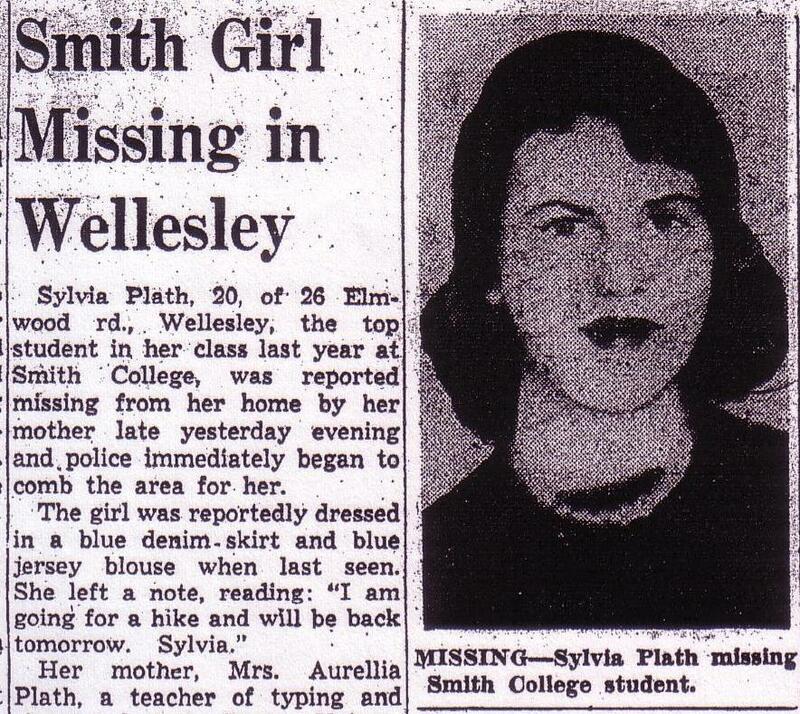 "Beautiful Smith Girl Missing at Wellesley." The Boston Globe. August 25, 1953: 1, 9. "Wellesley Woods Searched: Police, Boy Scouts Hunt Missing Smith Student." The Boston Globe. Evening Edition. August 25, 1953: 1, 9. "Smith Student Found Alive in Cellar." The Boston Globe. Evening Edition. August 26, 1953: 1, 6. "Missing Co-ed Found." The Chicago Tribune. August 27, 1953: 5. "Home All the Time." The Fall River Herald-News. August 27, 1953: 23. "Home All Along." Haverhill Gazette. August 27, 1953: 6. "Missing Wellesley Girl Found." The Evening Tribune. August 26, 1953: 1. "Missing Girl Found Beneath Porch of Home." The Los Angeles Times. August 27, 1953: 18. "Greater Boston Policemen." Manchester Union Leader. August 26, 1953: 40. "Student Missing." Miami Daily News. August 26, 1953: 10. "Missing Wellesley Girl, 20, Found Asleep in Her Cellar." The Standard-Times (New Bedford). August 26, 1953: 1, 12. "Smith College Editor, 20, Hiding, Ill, Under House." New York Herald Tribune. Late City Edition. August 27, 1953: 32. "Smith Senior is Found and Taken to Hospital." The Berkshire Evening Eagle (Pittsfield). August 26, 1953: 1. "Home All Along." Taunton Daily Gazette. August 28, 1953: 1. "Missing Girl Hunted at Wellesley." The Worcester Telegram. County Edition. August 26, 1953: 1. "Missing Girl Hunted at Wellesley." The Worcester Telegram. Latest Edition. August 26, 1953: 13. "Day-Long Search Fails to Locate Smith Student." The Boston Globe. August 26, 1953: 1, 11. "Missing Smith Girl Found in Own Cellar." Boston Daily Record.Home. Edition. August 27, 1953: 5. "Missing Smith Girl Found in Own Cellar." Boston Daily Record. Payoff Edition. August 27, 1953: 5. "Trace Moves of Girl Felled by Sleep Pills." Boston Evening American. Cambridge Somerville Edition. August 27: 1953: 5. "Trace Moves of Girl Felled by Sleep Pills." Boston Evening American. 8 Star Sports Edition. August 27: 1953: 5. "Pill Girl 2 Days in Cellar." Boston Evening American. Sports Entries Results Edition. August 27, 1953: 5. "Pill Girl 2 Days in Cellar." Boston Evening American. Sports Charts Entries Edition. August 27, 1953: 5. "Sleeping Pill Girl 2 Days in Own Cellar." Boston Evening American. Final Edition. August 27, 1953: 5. "Top-Ranking Student at Smith Missing from Wellesley Home." The Boston Herald. August 25, 1953: 1, 11. "Posse Hunts Smith Girl." Boston Traveler. Blue Streak Edition. August 25, 1953: 1, 26. 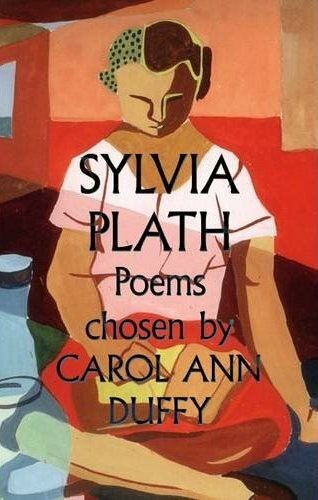 "Sylvia Plath Found in Good Condition." The Townsman (Wellesley). August 27,1953: 1. "Hunt for Missing Smith Honor Student Who Left on 'Long Hike' Fruitless." Daily Hampshire Gazette (Northampton). August 25, 1953: 1, 16. "Hunt Missing College Girl in Favored Haunts." Boston Evening American. Final Edition. August 25, 1953: 5. "50 Sleep Pills Vanish with Missing Smith Girl." Boston Evening American. Sports Charts Entries Edition. August 25, 1953: 5. "50 Sleep Pills Vanish with Missing Smith Girl." Boston Evening American. Sports Entries Results Edition. August 25, 1953: 5. 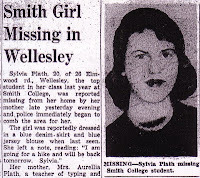 "Smith Girl Missing in Wellesley." The Boston Post. August 25, 1953: 7. 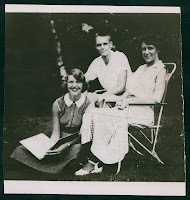 I am told that the website for the Sylvia Plath 2012 Symposium will be up on 27 August!! For those who will fly into Indianapolis, you will take a shuttle bus (the Bloomington Shuttle) to get to Bloomington. It is about a 50 minutes ride south. There are two hotels put aside -- one for $100 a night for two, one for $60-70 a night for two -- but I do not have - yet the names of these hotels. 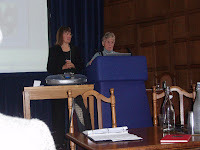 Did anyone read the list of featured speakers at the Sylvia Plath 2012 Symposium: The October Poems that I posted on 19 July"? Did anyone see the subject of Heather "The Grief of Influence" Clark's talk? Well, here it is, again: Heather Clark on Otto Plath's FBI files, Plath’s German heritage? Journalist Dalya Alberge has written an article for The Guardian newspaper in London titled "FBI files on Sylvia Plath's father shed new light on poet." 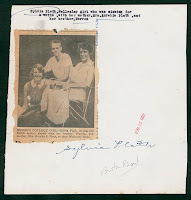 The focus of the article is Heather's subject, and how recently uncovered archival documents provide insight into Sylvia Plath's father, Otto Plath, who was briefly investigated by the FBI in October 1918. But if you cannot wait until October to hear what promises to be a gripping talk, click here to read the article. Daily Mail runs similar report: but with more photographs... Read "FBI files on Sylvia Plath's father show he was investigated during World War I for pro-German sympathies" by Daily Mail Reporter. Note, that it is interesting to see, already, how the story has changed and is in someways completely unrecognizable. You know Sylvia Plath Info loves to be snarky about Sylvia Plath publications (not about Plath's per se, but books about her), but today he brought the snark to ESPN and Baseball Tonight. Real blog post tomorrow! Faber & Faber is releasing a new selected poems of Sylvia Plath this fall: Sylvia Plath: Poems Chosen by Carol Ann Duffy. Duffy is the current Poet Laureate of England. Weighing in at 160 pages and sporting hardback cover, Sylvia Plath: Poems Chosen by Carol Ann Duffy will be available on 4 October 2012. Other details: ISBN: 9780571290437; retail price: £14.00 ($19.19). The stunningly beautiful cover image features a close-cropped detailed from Plath's painting "Two Women Reading." What are we supposed to believe? We rely on technology: some more than others. We use it for its convenience and generally for its swiftness. No longer does one really have to remember on their own where we read something because we can keyword search, highlight, makes notes, and bookmark passages that we read. To my consternation, I woke up this morning to see that someone else found 63 results. Of course we all want to be right! I thought: How could this be? So, I searched my Kindle for PC app again. Still got the same number. In the age of computers and technology, redundancy is expected. So, I went to my Kindle app on my phone. This found 66. I did the math: 66-3=63. Happy? No, not happy. For although the number matches the the results of the other person who did the same search, I was still at a loss for how my Kindle for PC could have been so off: so wrong. Some enterprising sneak put all the Journals on Twitter a while back (it wasn't me, I'm not that savvy). I went to this source next and got: 65 results. To make matters worse, there were only two non-Plath mentions to the New Yorker in this source, the list of illustrations for some reason not being included in that resource. Which is great, as that number then is still 63. I usually appreciate being corrected, but hate having to be corrected. So, I decided to compare the Amazon Kindle app against the version the Twitter sneak put online. One of the differences is an instance where "New Yorker's" (with an 's following) was found in the Twitter one, but not the Kindle (but it was found on my phone!!). Another is where Plath writes "New Yorkerish" (again, found on my phone!). There were two where "New Yorker:" (with a colon following) weren't caught in the Kindle version (found on my phone...). And an instances where "New Yorker-" (with a dash/hyphen following) wasn't picked up (but it was on my phone). A lot of these instances were on the same page as other New Yorker mentions, could that have something to do with it? If you just count the instances in the index to the print edition, you get 55. To make matters worse: Google Books yields (or yielded to me) 38 results, which included the instance in the index where the name appears; and using Amazon's "Search Inside" feature, I got 45 result. It is all over the map! The moral of this beleaguered story-post is that is that Amazon Kindle version for PC, which I did really like before now, fails. Sylvia Plath's great friend, and college roommate Marcia "Marty" Brown Stern passed away on July 25, 2012. In addition to being mentioned in Plath's journals dozens of times, Plath wrote more than 20 letters to her friend, all of which are available for reading in the Sylvia Plath Collection, Mortimer Rare Book Room, Smith College. These letters show a close friendship and a very warm and caring side of Plath that is often ignored. In October 1961, just after Plath and her husband Ted Hughes moved to Court Green in North Tawton, Plath wrote the poem "The Babysitters" which reflects on her summer experiences in 1951 when she worked as a nanny in Swampscott, Massachusetts. Marcia was also a nanny, a few houses away. Plath's journals also chronicle this summer. "Marcia Marty Brown Stern, a long-time resident, teacher and prominent child advocate died after a difficult struggle with recurrent ovarian cancer in her home on July 25, 2012. She was nearly 80. Marty devoted her professional life to work with families and young children. She specialized in teaching children on the autism spectrum. She worked mainly in early intervention programs that helped those below age four who were at risk for developmental delays. Much of her work, and her graduate study in early childhood education, were motivated by the developmental challenges of her son, whom she thought schools and public programs could serve better. She was a central figure who helped drive changes in Massachusetts law guaranteeing educational opportunities for all students, including those with special needs. Among the measures she lobbied for was the so-called Chapter 766, passed in 1972. The state law was the first non-categorical law guaranteeing all special needs children the right to a free public education suited to their conditions. Prior to the Massachusetts law, families in the state frequently faced financial ruin when providing basic education to a special needs child. The law later served as the model for the first federal special education legislation. Marty also worked for reforms in local laws and practices in Concord, MA, which expanded resources to families with developmentally challenged children. She established the Concord Area Pre-School Association to provide scholarships to students with special needs. Those scholarships continue. For more than 30 years, she was a board member of The Gifford School, a private school for special needs children in Weston, MA. She also taught for many years at the Milldam Nursery School and Early Intervention in Concord. Born in Orange, NJ on July 28, 1932, Marty was the only child of Carol Taylor and Archibald L. Brown. She graduated from Smith College (A. B., Sociology and Child Study, 1954) and later obtained her M.A. in early childhood education from Lesley University. At Smith, Marty was roommate of poet Sylvia Plath. Their friendship continued until Plaths death in 1963. On occasion, she found herself interviewed by Plaths biographers and became an important resource of the human side of Plath at a time when the poets place in the public imagination grew to heroic proportions. Plath marked their friendship in an unpublished poem titled Marcia, which dates from their time together at Smith. Just prior to her death, Marty donated the poem to Smith College, to which she earlier bequeathed papers and letters relating to Plath. The poem, which captures much of Marty's spirit, includes the passage: she will be always as now: cheeks appleshining translucent from soapandwater scrubbing. she will be always sight of market in the morning: red cheek of beet and radish squashyellow hair and mirrored purpleblack of eggplant eye laced with celerysilver lashes, vegetable and vital. Marty remained an avid reader of poetry, especially the nature poets and writers: Frost, Thoreau, and Mary Oliver, among others. She loved walking on Goose Rocks Beach in Cape Porpoise, Maine where she spent her childhood summers and had a second residence. She delighted in trekking among the hills of Wales, and enjoyed canoeing, hiking, and x-country skiing. She had wide-ranging musical tastes, played the piano and had a particular love for Early Music. Marty is survived by her husband Ernest, children Cary Frye, Douglas Plumer and Eric Stern; and step-children Jessica, Sara, Hilary, and Jennifer Stern; as well as eight grandchildren. A memorial service in celebration of her life is planned for 12 noon, September 15, at the First Parish Church of Concord. In lieu of flowers, memorial contributions can be made to The Gifford School or Elm Brook Place in Bedford, MA." I also wrote a little bit about Marcia and Plath in this blog post, "Two Cork Dolls," from http://sylviaplathinfo.blogspot.com/2010/06/two-cork-dolls.html 21 June 2010. And you should not hesitate to read Kathleen Connors excellent essay "Madonna (of the Refrigerator): Mapping Sylvia Plath's Double in 'The Babysitters' Drafts" in 2011's Representing Sylvia Plath. "What keyhole have we slipped through, what door has shut? And from our opposite continents we wave and call. ©The Estate of Marcia B. Stern. From The Unabridged Journals of Sylvia Plath, image 5. Trying to have a little fun this summer, below are attempts to construct sentences out of the poem titles in Sylvia Plath's Ariel (both the 1965/1966 Ted Hughes version and those from her original order, first published in 2004). I have endeavored to not employ additional words (to, at, the, are, etc.) to connect things up; however, in some instances I found it beneficial to do so... And in some cases I brought in titles from other 1962 poems. Getting there by candlelight, the applicant Gulliver cut the fearful eavesdropper for a fatherless son. The arrival of the bee box, a secret event (a birthday present), stopped dead the detective burning the letters. Medusa stings Daddy; the other magi- the jailor - on the tour wintering among the narcissi: Berck-Plage, Lyonnesse, Ariel, Lesbos, has the courage of shutting-up the elm and death & co. The Munich mannequins totem: a paralytic thalidomide child, sheep in fog, pheasant, balloons, the swarm, the moon and the yew tree. Crossing the water years after an appearance at the bee meeting, the rabbit catchers amnesiac apprehensions are words heard, by accident, over the phone. The couriers words, a letter in november, edge the rival barren woman - in a purdah of tulips and poppies in july, poppies in october - and the hanging man into the night dances. Mary's song, the little fugue, is a contusion to Lady Lazarus. You're Nick and the candlestick's morning song.